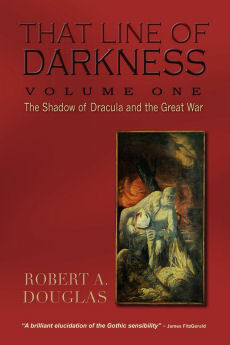 The following was to be part of the postscript for That Line of Darkness: The Shadow of Dracula and the Great War (Encompass Editions, 2012) but I instead decided to insert a Coda which examined the appeal of the Gothic in our times. In retrospect, I think the right decision was made. The original postscript works best as a series of blogs. 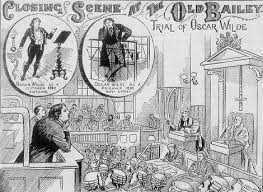 The intensity of hatred and the representation of the monstrous that was present in the trials of Oscar Wilde trials raises the issue whether the philosophy of positivism with its stress on reason and the observable could match the seductive power of the irrational and the primitive that was gaining in strength. It is arguable that constructions of the normal, manly and feminine were desperate efforts to keep the irrational and the ambiguous caged in the safe classifications of the criminal mind, diseased foreigner, hysterical female and aesthetic male as a way of ignoring larger realities. The Victorian beliefs in the inviolability of will power, self-control and the sanctity of reason were becoming unhinged. The scientific and medico-psychiatric experts, who had confidently asserted that individual and collective manifestations of aberrant behavior were evidence of evolutionary regression or degeneration, did find a receptive audience, but behind the sophistry lodged general misgivings about self-control and reason itself. Between you both I lost my head. My judgement forsook men. Terror took its place. I saw no possible escape, I may say frankly, from either of you. Blindly I staggered as an ox into the shambles. I had made a gigantic psychological error. I had always thought that my giving up to you in small things meant nothing: that when a great moment arrived I could reassert my will power in its natural superiority. It was not so. At the great moment my will–power completely failed me. Wilde’s anguished articulation of the fear of losing a grip over his self-control, and succumbing to the surging power of the irrational, is remarkably similar to the ideas Stoker explored in Dracula. Stoker suggests that psychiatric positivism constituted a paltry response to the primitive and the demonic. His critique of the dominant psychological epistemology may be best approached in part by an examination in Dracula of the similarities between the alienist Seward and his "lunatic" inmate, Renfield. 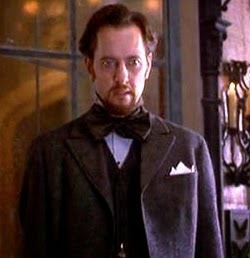 As the certified expert on insanity, Seward presides over an asylum, and is ostensibly different from one of his baffling patients, Renfield who suffers from delusions. As an obsessive scientific rationalist who believes that every puzzle can be solved, the alienist is unable to grapple with the nature of an illness that drives a patient to observe and record the activities of insects, spiders and birds, some of which he devours. Yet like his inmate, Seward can only classify and he takes great pride in describing Renfield as a "zoophagous" whose mind he cannot fathom. Seward is limited by an ideology that exemplified the Victorian obsession for taxonomy that observes, classifies, and medically analyzes for the purpose of controlling the patient's behavior. For all his scientific experience, he is never able to synthesize that data to draw valuable insights which would be helpful to their mission. Like the somnolent Lucy, “orthodox medicine itself is shown to be…semi–consciously stumbling along well–worn routes, unable to cross conceptual frontiers and understand the condition of its patients.” Seward could be a surrogate for any of the positivists from the Italian criminologist, Cesare Lombroso, to Dr. Henry Maudsley, the British psychiatrist. But there is something ominous about Seward. Simultaneously appalled and fascinated by Renfield whose consumption habits climb up the food chain, Seward begins to fantasize about the value of human vivisection on the human brain to advance science. In this way, Seward presents himself as the mad scientist who is willing in the interests of science to experiment on human beings. 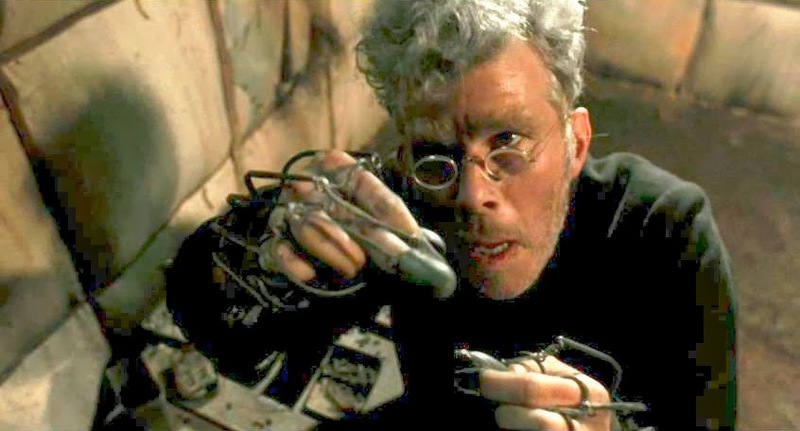 By linking these two characters, Stoker stages but disassociates himself from the kind of experiments that were to be in the twentieth century justified and inflicted on purportedly inferior individuals and groups. Stoker further critiques Seward’s epistemology by contrasting his positivism with the more holistic responses of his mentor, the seasoned philosopher vampire hunter, Van Helsing, who recognizes the limitations of current science. 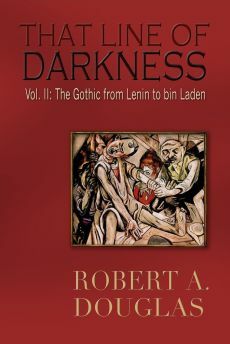 Because Seward’s esteem depends on the respect that he believes his position deserves and feels slighted when Renfield confuses him with an orderly, he is blind to the clues that his patient provides for him about Dracula. His training and experience prohibit him from making intuitive hunches, listening for clues provided by Renfield and then acting upon them: “the blood is the life! The blood is the life!” which is more than an encapsulation of the patient’s deranged consumption habits. His “ineffably benign superiority” and condescension, again like that of Renfield, preclude any real contact with his patient who tries to warn him about Dracula. As the only male character who is given to introspection and who even questions the sanity of the mission to destroy Dracula, Seward fears his own inner demons. Yet by taking refuge in his professional dignity, he is heedless to the man’s warning and fails to take the necessary precautions to protect Mina from the peril that befalls her his asylum by Dracula. In the meantime, Renfield is jolted into sanity by his recognition of the danger that Dracula poses for both Mina and himself. As the minion of the Count, he fears his wrath because of his betrayal and therefore requests an audience with Seward and his friends to again present his case. Speaking at first lucidly and reasonably, Renfield strongly requests permission to leave the asylum immediately. When he is rebuffed, he importunes that he is “a sane man fighting for his soul” but to no avail. All he can do is to ask Seward to later remember his warnings. The doctor suspects that he wants is freedom because he is mixed up with Dracula, but like the other characters who can only think in Manichaean terms, Seward cannot comprehend that Renfield may be an alien agent and genuinely concerned about Mina. Seward already knows from a conversation with Harker that the asylum was next door to one of Dracula’s houses and that had he intuited the clues he might have saved Lucy’s life. But he doesn’t want to dwell upon the implications of that possibility because it is the route to madness. He is about to repeat the same mistake because he cannot intuit the connection between Renfield’s moments of derangement and Dracula’s time of change even though Van Helsing has informed him that “he can only change himself at sunrise or sunset.” Ironically, once Renfield recognizes that Dracula is draining Mina of blood, he exerts more effort than Seward does trying to save her, at the cost of his life. Above all, Seward is unable to grasp the notion of the supernatural; he is always looking for rational explanations “for these mysterious things” when there are none. 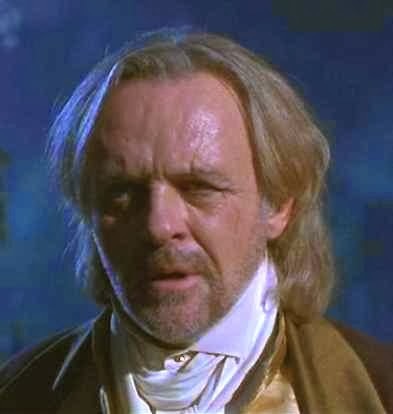 Earlier when Van Helsing explains to him how the soul of the vamped Lucy must be put at rest, he considers the ideas monstrous and wonders whether the mind of Van Helsing has become unhinged. When he describes how the group “looked upon with horrified amazement…as her corporeal body as real at that moment as our own, pass[ed] in through the interstice where scarce a knife could have gone” what horrified him was an epistemological rather than a sexual transgression: Lucy’s violation of the laws of physics. For a professional alienist, it was vital to keep the demarcation clear between medicine and quackery, science and superstition. Later when the open-minded Van Helsing trots off to the British Museum in search of authorities on ancient medicine, Seward muses that “we must all be mad and that we shall wake to sanity in straitjackets.” The allusion to straitjackets is an apt metaphor for his ideological mindset where he relied upon his positivistic science to defeat primal horrors. Stoker’s portrayal of the hapless Seward demonstrates that ideological nostrum has to be tempered with a pragmatic open-mindedness.